FlexFix series CMM fixtures system is designed and developed by UNIMETRO which means to help CMM users to improve the reproducibility and accuracy of the inspection process by providing quick and repeatable fixturing set-ups for the components. FlexFix series CMM fixtures are modular and can be expanded with user's requirements to provide a complete fixturing solution for any part regardless of its size, shape or material. 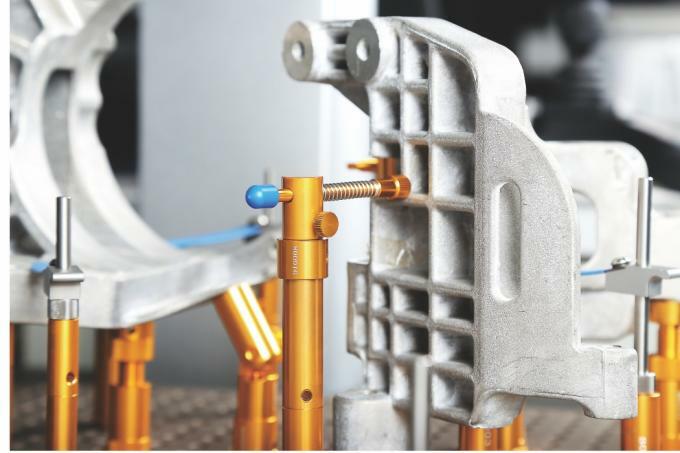 For multiple applications such as electronics, aerospace, automotive, plastic or medical care, the FlexFix series can provide a full solution to the CMM fixturing requirements. The series offers fixture plates with M8 threaded fittings in a wide choice of standard sizes, which are made of high accurate aluminum material and with complex manufacturing process, to ensure the accuracy and reliability of the system. 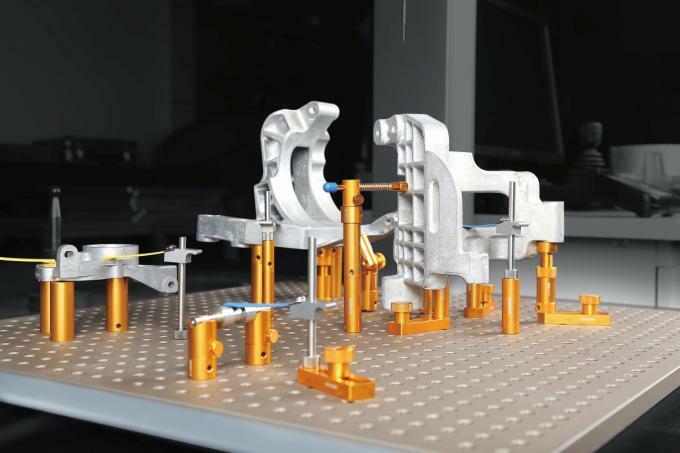 Perfect fixturing solutions can be assembled very quickly without any tools to increase throughput and avoid delays in inspection. 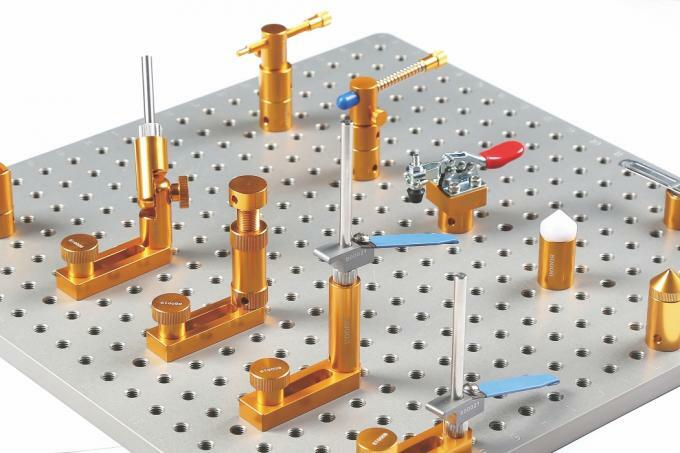 Flexfix series CMM fixtures are sold as kits to make a easy starting. 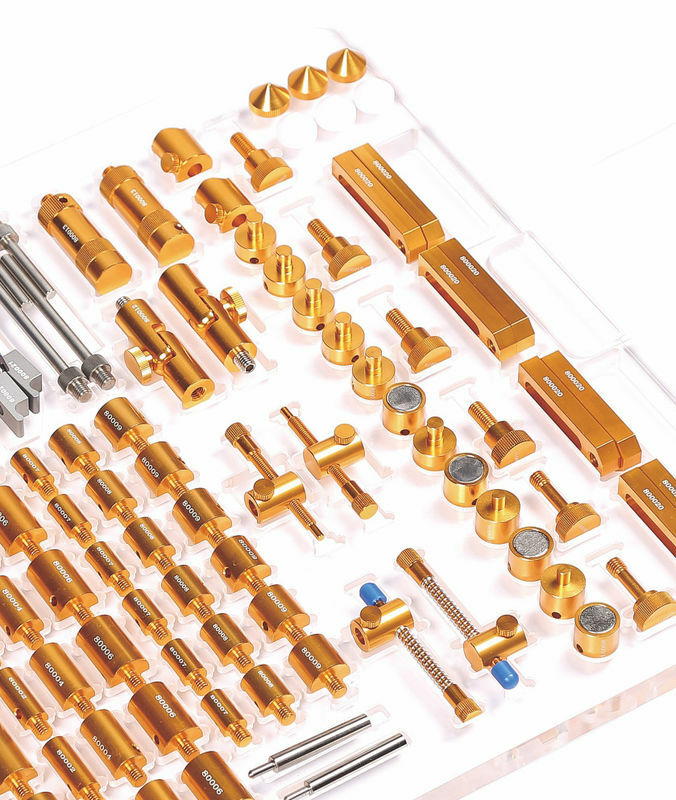 A kit consists of one base board and a comprehensive set of components. We are offering different sizes option for the base plates and user should select the suitable one based on the CMM machine size and measuring requirement. The Flexfix series Fixturing components are designed to hold components firmly with the minimum necessary force and without any special tools, all components are with different function including supporting, clamping or pressing. The reasonable design allows to avoid damage or distortion on the measuring part. With these flexible components users are able to create different type of fixturing combination for varies of parts. Also it is easy to set up a clear probe path of 3D measuring. Multiple sizes of base plates are available for option for the Flexfix series CMM fixtures. 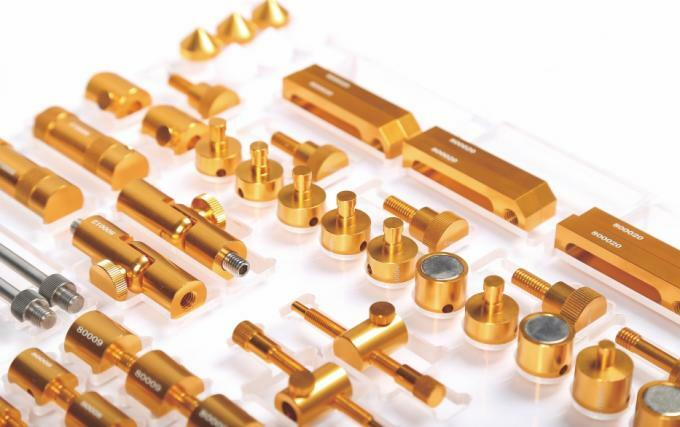 Which allows wide range of application for different size of CMM and also satisfying different size of components fixturing requirement. A complex manufacturing process is required for the CMM fixtures base plates which includes CNC machining, precision grinding, anodise coating, and laser marking, to make the plates with high accuracy, flatness and reliability. And except the standard sizes we also offer customized sizes and threads holes. 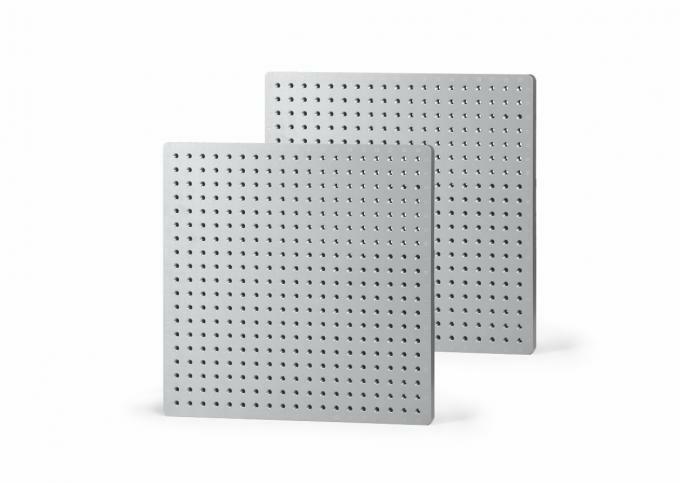 The fixture plates are offering an alphanumeric grid pattern and each fixturing component has its part number easily visible. 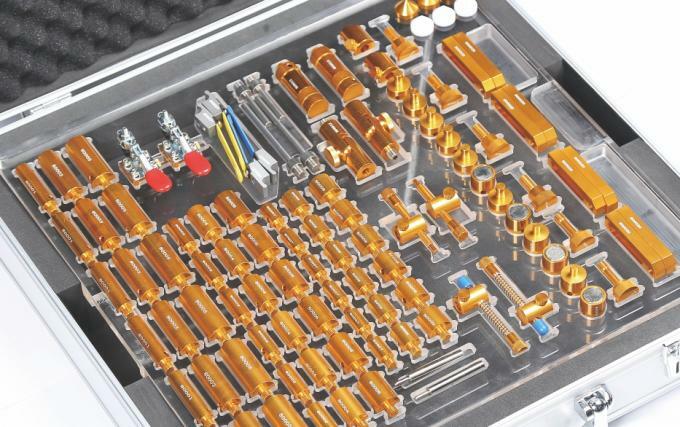 It makes the user set-up can be fully defined and documented by recording the assembly and location of each of the fixturing components, so that the same set-up can be quickly and accurately reproduced for subsequent inspections.